A World War I Reminiscence Coffee Morning was held at Staveley Library on 17 July. This was a free event where visitors were treated to coffee and cakes and had time to chat, view books, displays and photographs. Amongst the visitors were several people who had relatives on the Parish Memorial. 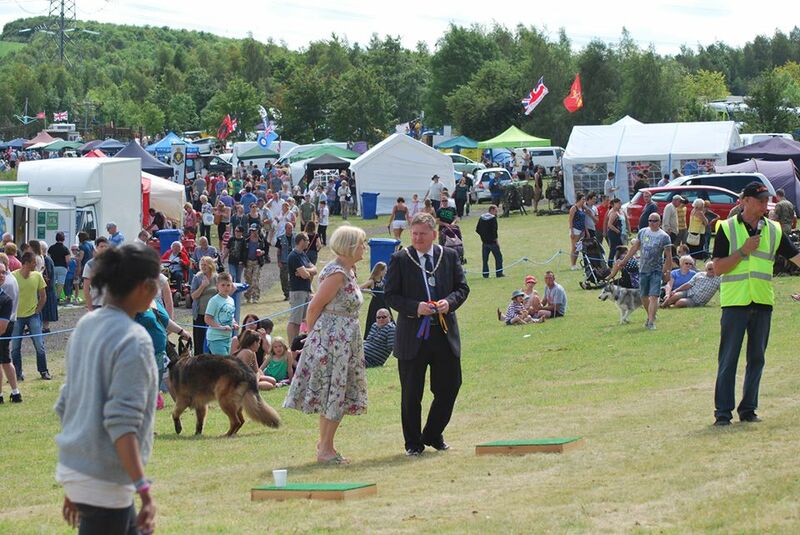 The annual 2 day Staveley Armed Forces and Veterans Event was held on 12th and 13th July at Poolsbrook Country Park. 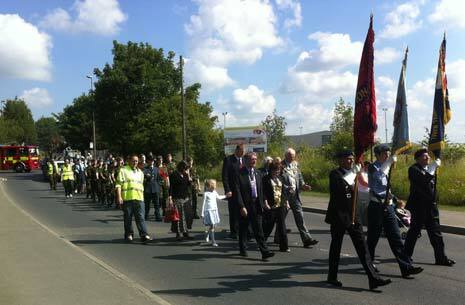 The event began with a parade and a specially written memorial service to commemorate the centenary of WW1. Amongst the many activities taking place were a gun dog display and a fun dog show, brass bands, singers, a funfair and a variety of stalls and games. The highlight of the weekend was a flypast by a Spitfire and a Dakota. The event raised funds to support the “Hounds for Heroes” charity.